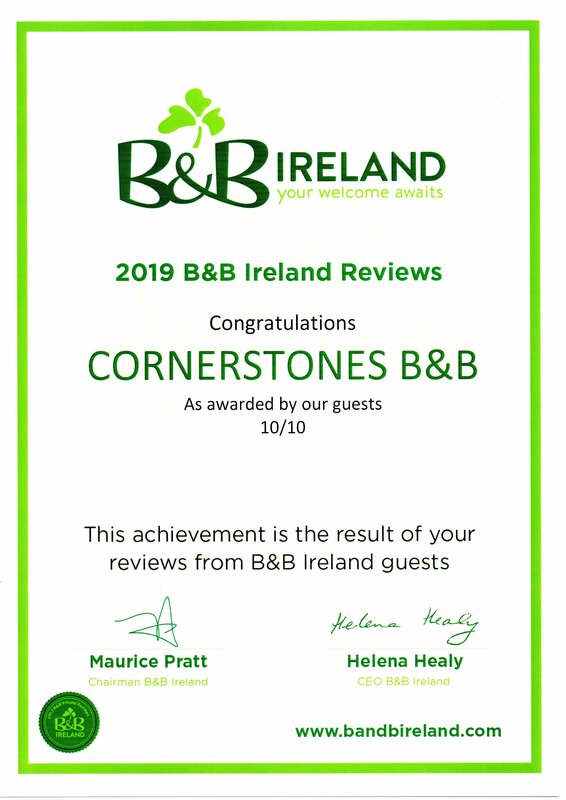 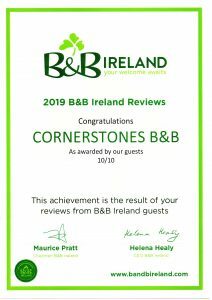 Guests have written in on numerous occasions to B&B Ireland, Family Homes and Fáilte Ireland nominating us for awards and we have been honoured to receive the following – Certificate of Excellence in 1999, our first year in business, as well as 2002, 2003, 2005 and 2006. 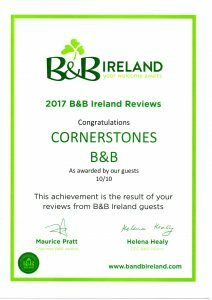 In 2004, 2007 & 2008 we were presented with a Certificate of Outstanding performance and Runner up in the overall Family Homes of Ireland Best B&B Awards. We’ve received Certificates of excellence from Trip Advisor every year since 2011 as well as Travellers choice award for B&B in 2014.